Tucked away at the north end of Boeing Field sits a building that looks like it is out-of-place. 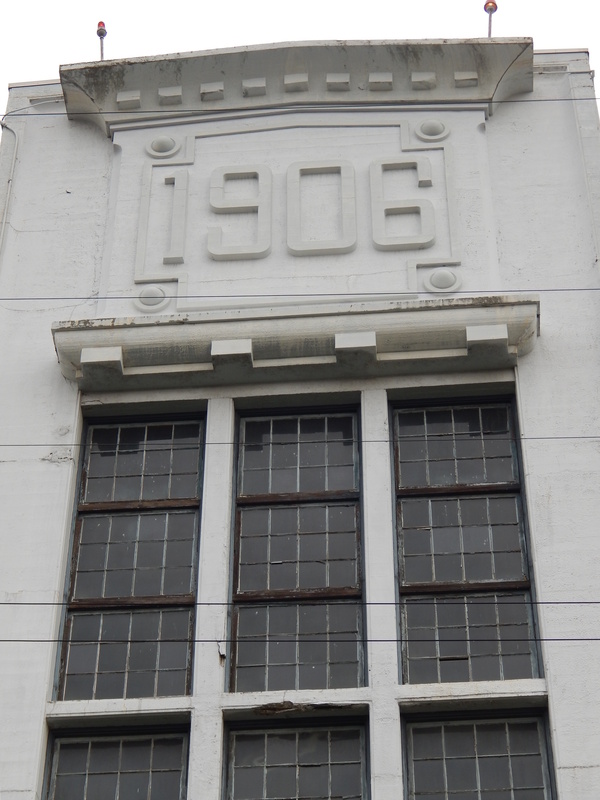 It has 1906 on the header and old windows looking out of an early reinforced concrete construction with neo-classical ornamentation. What is this place I wondered several years ago while looking for an estate sale in Georgetown. I found that it is the Seattle Electric Company’s first Steam Plant. 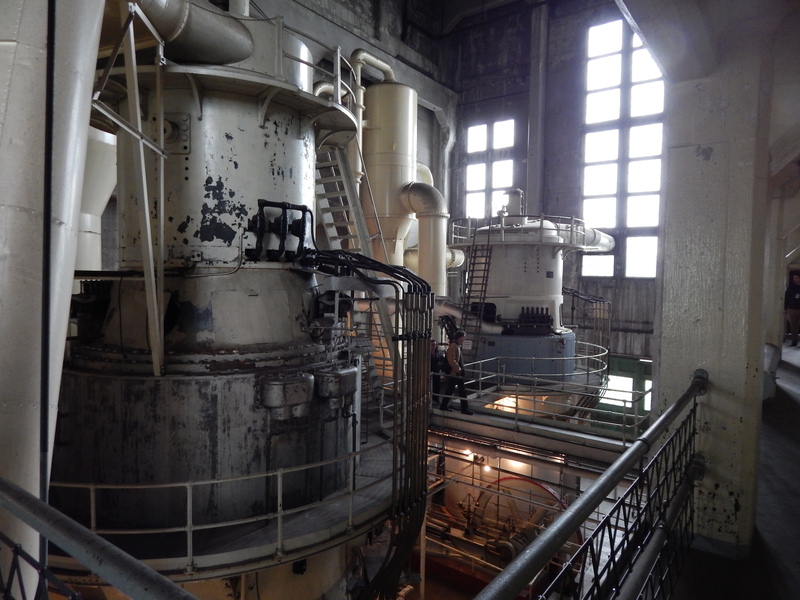 It was built on 18 acres near the Duwamish River and provided both direct and alternating current to it’s customers. The main ones being the Interurban Railway streetcar and the city of Georgetown (before it was annexed into Seattle). The coolest thing is this Steam Plant is the last working example of vertical Curtis Turbines manufactured by General Electric in 1907. This is described as the beginning of the end of reciprocating steam engine dominance in electrical power generation. The building was declared a National Historic Landmark in 1984 joining famous places like the Brooklyn Bridge and the USS Constitution. 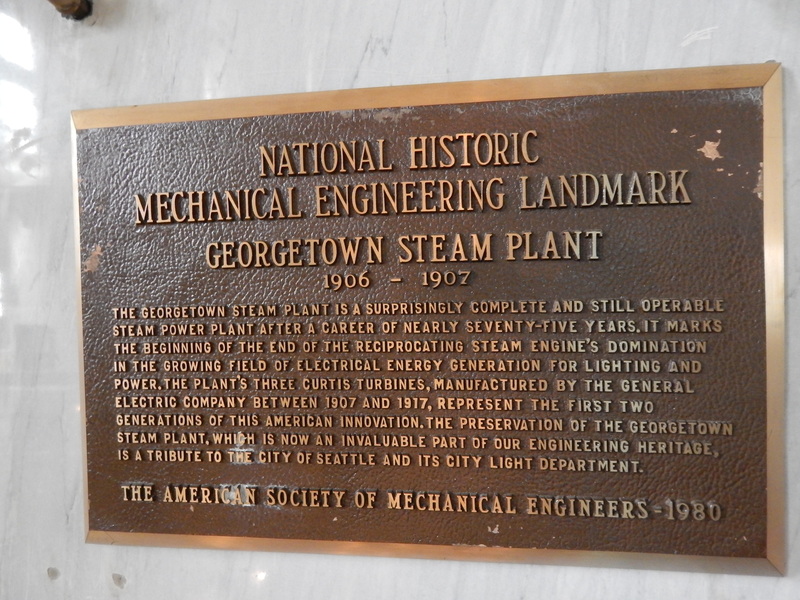 It is also designated by the American Society of Mechanical Engineers as a National Historic Mechanical Engineering Landmark (see placque below). 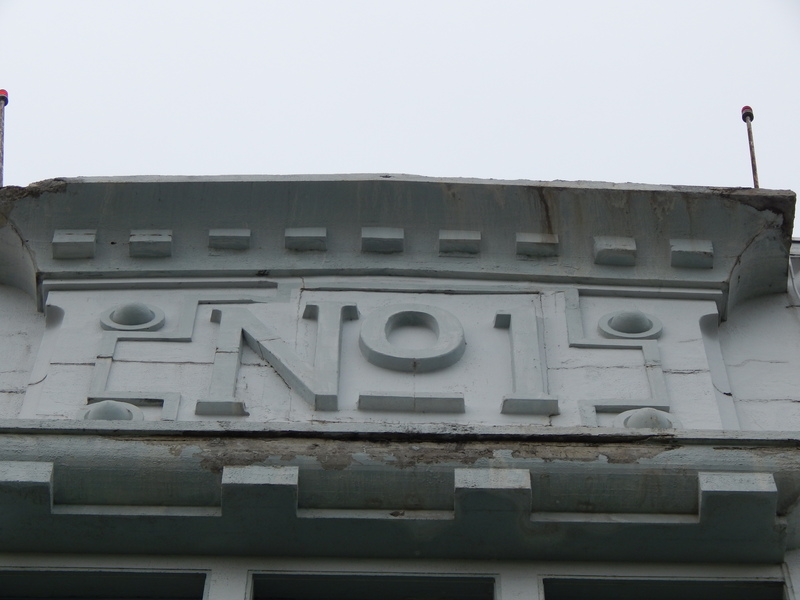 Plus the building is a Seattle City Landmark and is on the Washington State Register of Historic Places. Duwamish Revealed, a series of art installations that celebrate Seattle’s only river which I subscribe to due to my love of the Duwamish hosted an event at the Steam Plant. I jumped at the opportunity to get inside the building. They had a dance troop performing there. Sorry to say art people, but I was so busy taking photos that I missed the performance. I took so many pictures that I am going to break my blog posts into several. Just too much for one post. By the way I took over 180 pictures in 2 hours. That is a lot of shutter time. 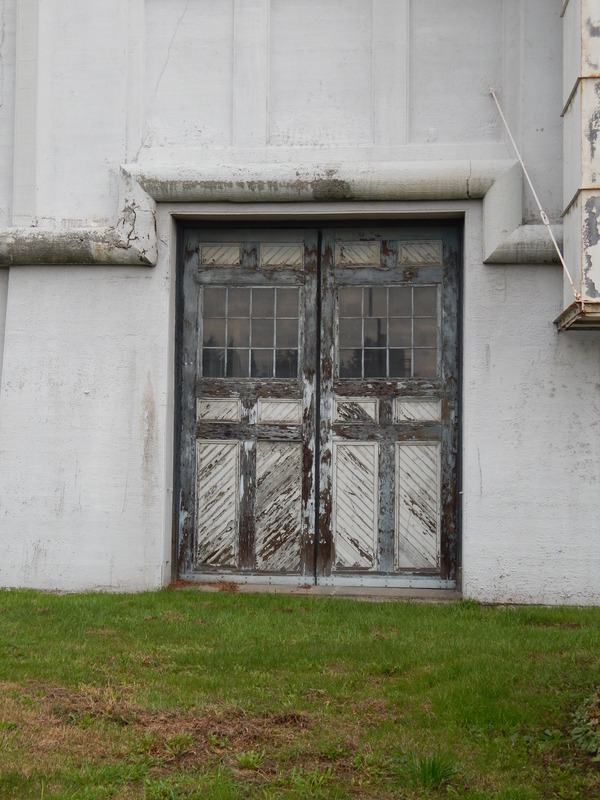 Haunted Georgetown Steam Plant – Haunted?